In 1995, Sofia and Ilias Ioannidis decided to take advantage of the land and the mansion that came with it and built a hotel. On the spur of the moment, they decided to call it Belvedere because of the magnificent views. The project was completed the following winter and the hotel opened its doors to the public in May 1996. They took great care with the construction, and made sure to leave the gorgeous garden untouched. 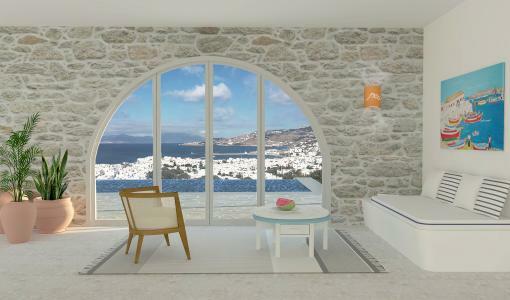 Who would dare cut down the lofty cypress trees, the only such specimen on the entire island of Mykonos? Their vision was to erect residential blocks centered around a pool that would become the epicenter of the property. 20 years later, this thoughtful layout is still intact, as it encourages interaction and visibility among the guests. 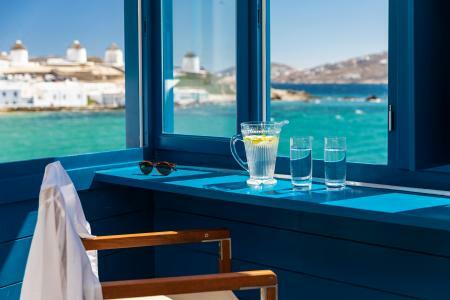 People come to Mykonos to see and be seen, nobody likes to get cooped up. 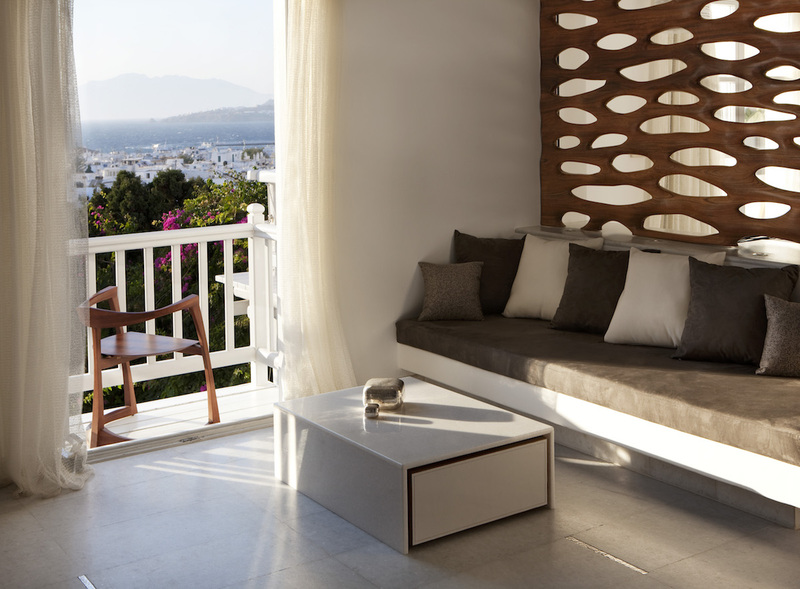 Being able to sit on your own balcony and still socialize with the guests in the opposite room is part of the â€œsecret recipeâ€ that transformed Chora into a hot spot. The initial aim was to simulate the neighborly atmosphere of Matogiannia, albeit on a smaller scale. In 1999, when the Ioannidis siblings graduated from college and turned their attention to the Belvedere, they made a few small but significant changes: they reduced the number of rooms and focused on the communal spaces. They built cabanas and set up pergolas around the pool, complete with a stunning open-air bar. They wanted guests to spend most of their time outdoors and feel part of a larger community they could always turn to. 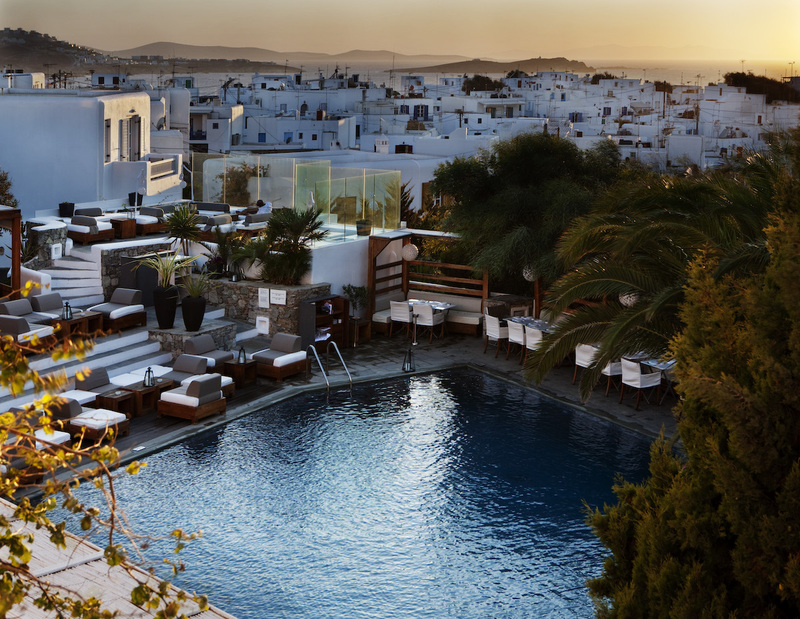 The Ioannidis family never lost sight of the fact their hotel was located in the heart of a Greek island, no matter how cosmopolitan. 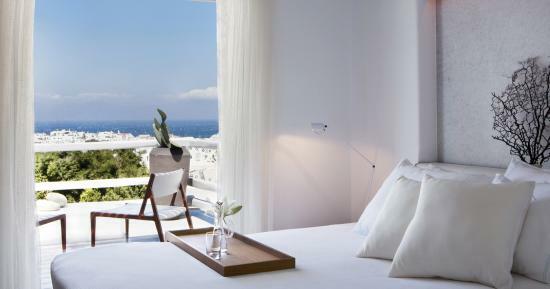 They made sure the architecture never strayed too far from Cycladic minimalism and that luxury was the combined result of prime raw material and exceptional services, from day one. Their approach to the Belvedereâ€™s most recent renovation was no exception. Carried out by the NY-based Rockwell Group and headed by Domna Ioannidis herself, it implemented a mixture of high and low – Italian stone and humble plaster, a Mexican handcrafted wood screen and locally carved timber features – to approach splendor from a different perspective. The cosmopolitan-meets-cozy accommodation got an upgrade with the addition of the Belvedere Villa, a seaside property for the discerning guest, who values his privacy but still wants all the hotelâ€™s services and amenities at hand, while the ladies could finally breath freely thanks to the addition of the Six Senses Spa. 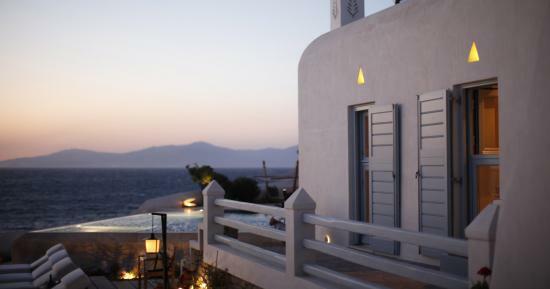 Designed from scratch by Domna, it newly opened its doors in July 2015, introducing a new era of wellness in a hotel that already boasted restorative qualities but was lacking the expert services the Six Senses brand brought to the mix.